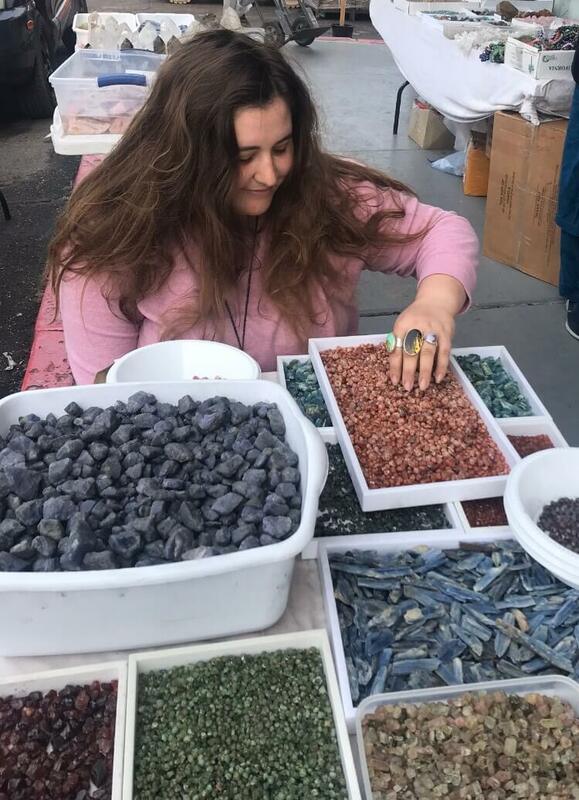 If you haven’t heard, the wonderful Hanna Ketai is hosting an Intuitive Crystal Ceremony and Jewelry Making Workshop on May 3rd! It is sure to be awesome. Why? Because she’s awesome and talented and if you don’t believe me, check out her ODDLight feature to confirm. To bring you into the crystal-sphere, Hanna has devised some quick tips for choosing a crystal that is perfect for you. Crystals are super personal. They all have different qualities and one may/may not resonate with you at a given moment in life. Be sure to follow Hanna’s advice to find the one (or five!) for you. And don’t forget to sign up for her workshop to learn even more about crystals and jewelry making. Close your eyes and take at least five slow, deep breaths in and out of the nose. Take a moment and think of one new thing that you’d like to manifest in your life. Use your eyes to look at the crystals in front of you, observing the different sizes, shapes, lusters, colors. Then notice which ones you are immediately drawn to. Pick up the crystal(s) that you’re drawn to and hold them in your hand. Take in the sensations you feel when holding it. Don’t worry about any pre-assigned meanings of certain crystals that you may have heard. Pick the one that speaks to you…that’s the one you need! March! It’s here! And it brought a whole new ODDLight with it. This month, we’re featuring Hanna Ketai. Hanna is the woman – the dream – behind many of the lovely rings, bracelets, and necklaces that you see at ODD. She’s been around One Down Dog FOREVER and it’s time for us to introduce her to the masses. 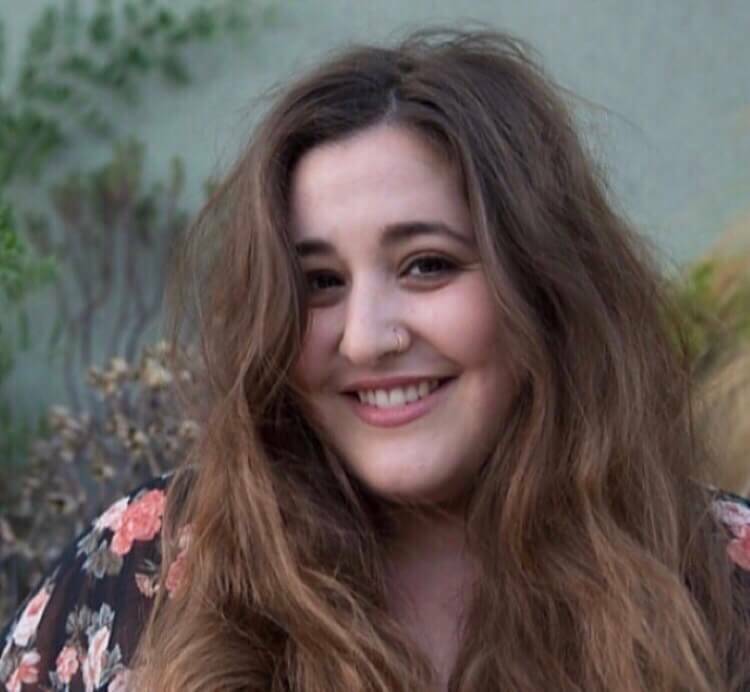 Read on to learn more about Hanna and be sure to sign up for her workshop, Intuitive Crystal Ceremony and Jewelry Making, which is happening March 14! I was named after Hana in Maui even though I have never been there! Also, in addition to designing jewelry and owning a crystal business, I am also a therapist. I have my own private practice in Beverly Hills. Share a story or anecdote with us – something magical, changing, funny, or adventurous. Something that you love to tell. : I recently took myself on a solo trip to the desert to paint and wander around. I got attacked by a cactus and ended up in urgent care. Lesson to be learned: Don’t wear Birkenstocks in the desert. 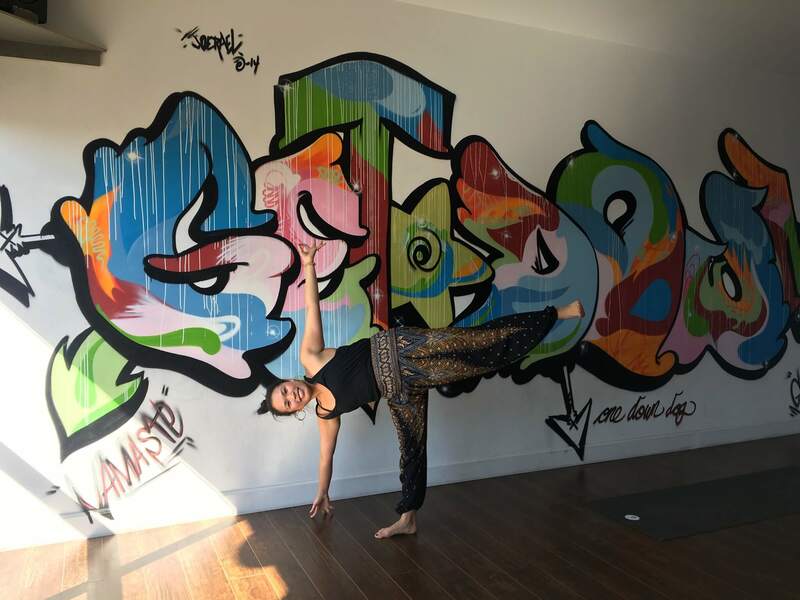 I am not currently teaching yoga, however what I used to love about teaching was creating and holding a special space for people to connect and come home to themselves. When I teach workshops, it’s a similar feeling but now I am teaching people about crystals, how to use them to connect with yourself and cultivate a deeper intuition. And of course, how to make some badass jewelry with those crystals too! My yoga teachers and the owners of the studio encouraged/forced me to become a teacher. I’m glad they did! Pigeon pose because the hips don’t lie! I still remember my very first yoga class at the Yoga Shelter in West Bloomfield, Michigan. I was 16 years old and it completely changed my life. Jess, the owner, is one of my oldest dearest friends from Michigan. What is your favorite yogi prop or piece to wear or use? 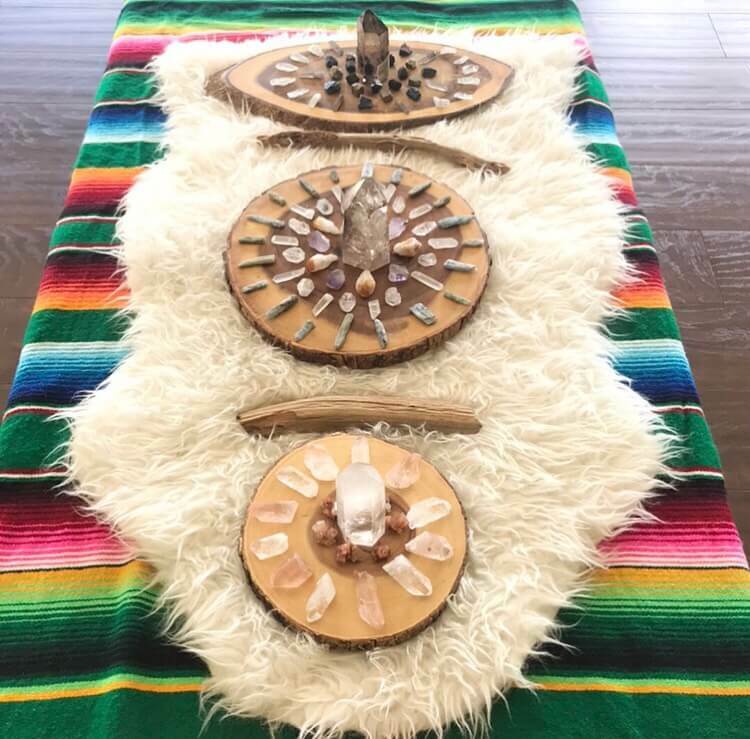 I love bringing crystals to class and placing them at the front of my mat when I practice! 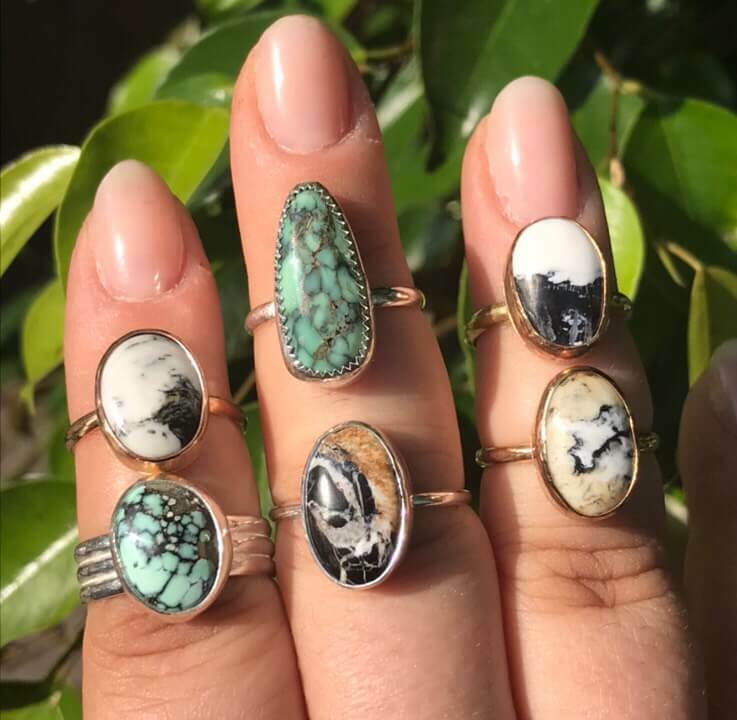 Check out Hanna’s beautiful creations @Hanna.LAHandmade on instagram! 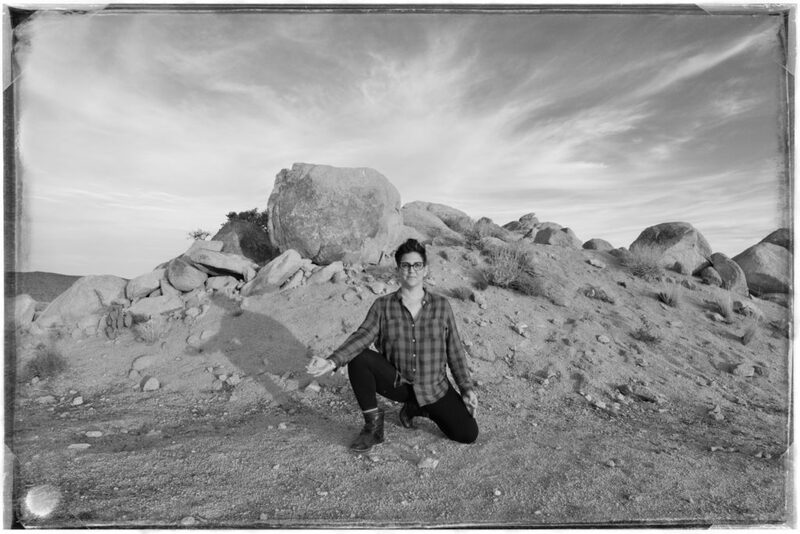 Learn more about Hanna’s upcoming workshop,”Intuitive Crystal Ceremony and Jewelry Making“, and sign up, on the ODD website or check in with any one of our lovely desk staff members the next time you’re in a studio. Nickname: I’ve been called a lot of things, but nothing stuck. What initially inspired you to become an instructor? I have been practicing yoga off and on since I was around 7 or so. It was a tumultuous relationship. In 2012, I photographed the cover of 21st Century Yoga, and then began photographing a lot more yoga. I thought, hey, maybe i should learn more about teaching so I can shoot better. But then I became so inspired and was so encouraged during my training, both by my cohort and by the teachers, I leaned into my voice as a teacher. Why do you continue to teach? I love seeing the shift in folks when they take that involuntary deep breath as their nervous systems settle. I love being in community. I love holding space and inviting safety and resonance into the room. There’s the literal meaning: union, right? But it’s so much more than that to me. It’s a pathway to the heart, to our breath, to a means of listening to our bodies. It’s connection. It’s music in motion. It’s an oasis that we have the power to create for ourselves where we don’t have to be anyone other than ourselves. Hm…. I’m everywhere.Usually, I’m working in my role of Somatic Experiencing® Practitioner, seeing clients (adolescent and adult) or I’m photographing someone or something, or I’m snuggling my fur-babies, or managing teen drama. To be honest, it’s contingent on mood, but i always love a reverse warrior. I have a weird adoration for triangle and chair pose (yes, i realize how weird the latter is) and child’s pose is simply magic. I love a good warrior flow. And i love a random dance party. The block is my best friend. 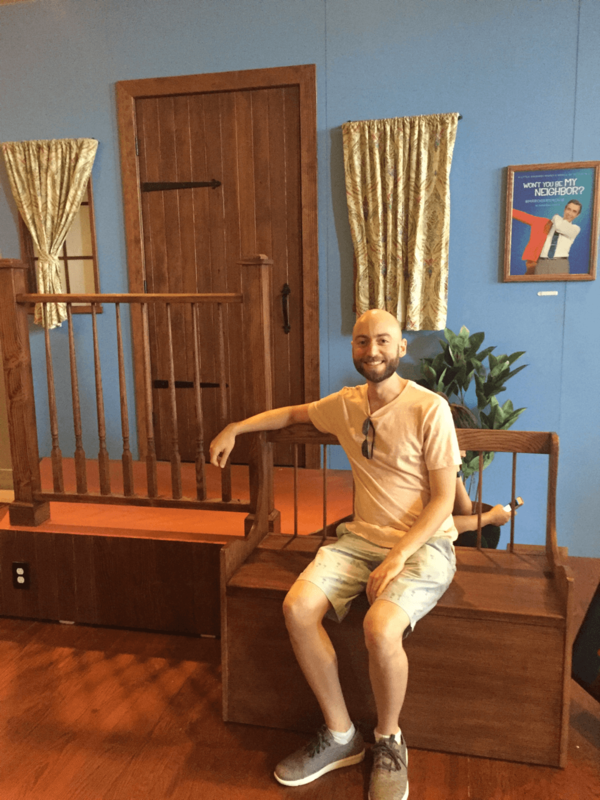 I have short arms….. thank you, Block, for bringing the floor closer! I love props in general. I always use a blanket under my seat, and love a bolster under my knees in savasana or in child’s pose. Most? eek. Well, there was that one time when was working on a film (used to costume for nearly a decade), and we were dressing Ru Paul. His manager had sent us the wrong measurements — his fem measurements, so they were particularly unusual, for example, 27 waist, 42 inseam. Um….. So, I’m in Beverly Hills with the designer and see these two extraordinarily tall guys in front of me. I ran up to them and siad, “Excuse me, this might sound really odd, but where do you buy your pants?” They both looked at me like I was completely nuts, but they answered me. As I turned around, I realized it was Vlade Divac. What is your most empowering moment? What special causes or non-profits do you hold dear to your heart? Being of service is the most important thing to me. It drives me and gives me great joy. But my all time favorite organizations are Homeboy Industries and Off the Mat, Into the World. 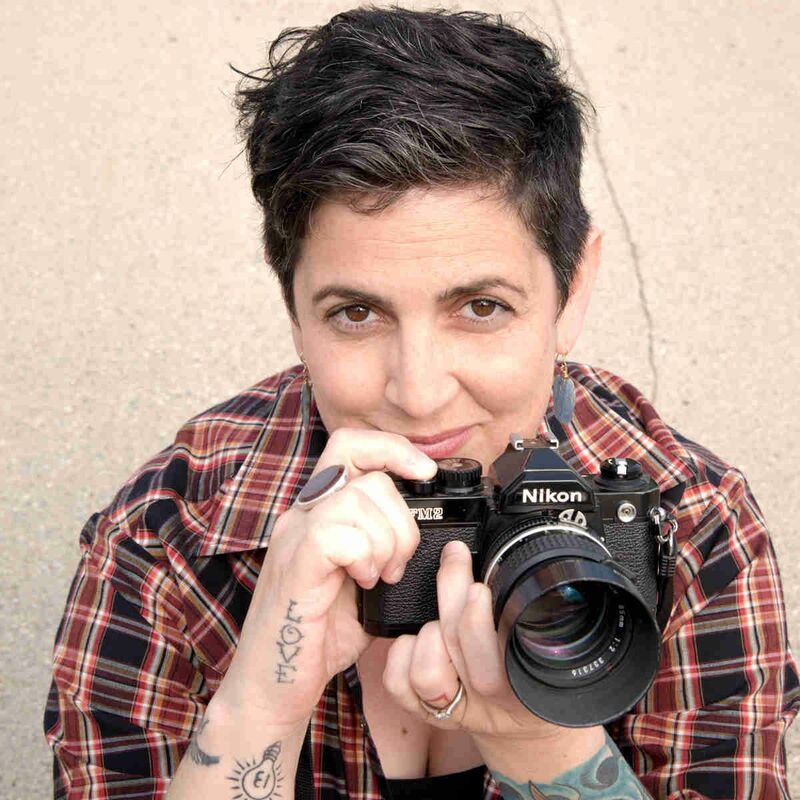 Find Sarit and her passion projects on the Soc-meeds! 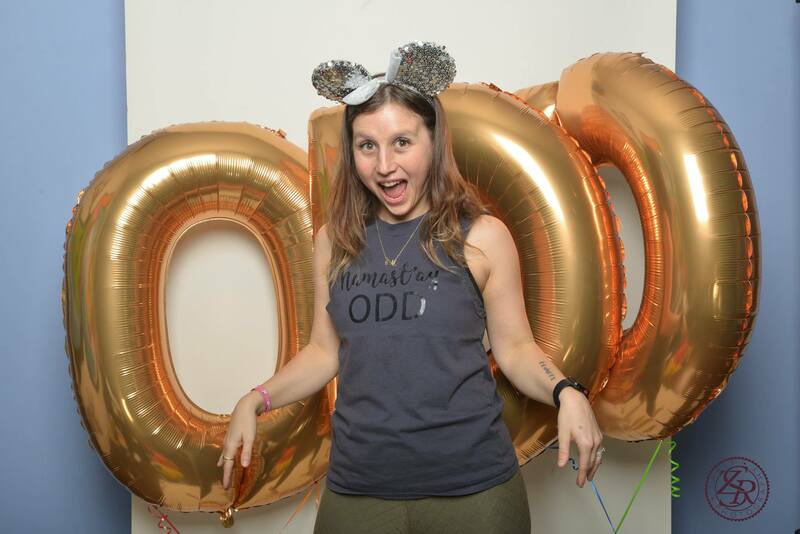 Every January is special here on the ODD blog because we feature none other than our fearless leader/owner, Jessica Rosen! Rather than our usual interview style post, we’re instead bringing you the origin story of One Down Dog straight from the…horse’s mouth…(that phrase is really strange when you think about it). Grab yourself a nice hot mug of tea and sink into it!! For most of my life I’ve known that I wanted to start a business based in service. I started out thinking that would be as a therapist – developing my own program for teens struggling to find their way in life. While in my masters program (I have a MA in psych) I found yoga and took my first teacher training right after graduation. I soon realized I enjoyed teaching yoga and leading groups far more than working as a therapist in a one-to-one capacity. 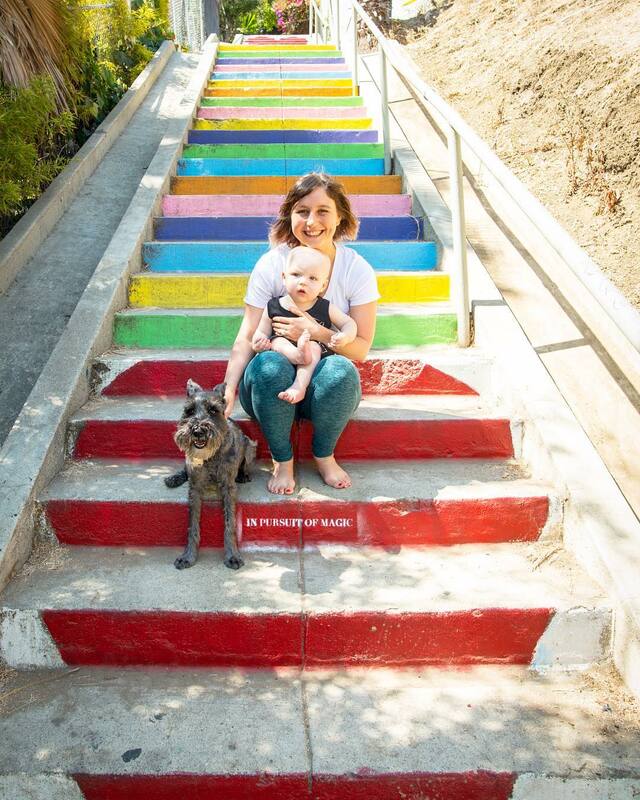 I moved to LA, managed a yoga studio, and started to ideate ways I could make a living in the wellness space. I had this crazy wild dream of one day opening a yoga/wellness space, but I never gave it much thought because of layers on layers of self-doubt and negative self-talk along with the voices of many people in my life that meant well, but told me that my dream was basically impossible. In 2008 I took a massive leap and moved to LA from Michigan where I was working as a substance abuse counselor and yoga teacher/front desk associate. The studio were I worked was opening a location in LA and I moved out here to manage it and teach. A month into being in LA the economy crashed and the studio fell through. I was broke- I had no job and a mounting pile of debt. My MA in psych was basically useless as my license didn’t transfer to CA and I had no idea how I was going to survive. I just knew I couldn’t go back. I hustled trying to find a job. I ended up working at American Apparel, and eventually (after a bunch of interviews) got a job at Lululemon in Glendale. I worked at YAS on Hyperion for a hot minute, almost became the manager of The Hub yoga studio in West LA, taught at Shakti Box in Los Feliz…I did whatever I could to get by. While at Lululemon I had the assignment of writing a 10 year vision. I wrote something along the lines of… “I own a yoga studio in Los Angeles with 2 rooms, a room for wellness/massage services, an awesome retail space, and the most amazing community of students.” I laughed about how impossible that was and thought for sure that there was no way it would actually happen. That was August 2009. Soon after, in January of 2010 I finally got to manage that yoga studio I moved out here for. I did that for a few years and started teaching and leading a group at a rehab facility for teens in Malibu. After about a year I realized it was time to form a business and decided to create my LLC – which meant I needed a name. 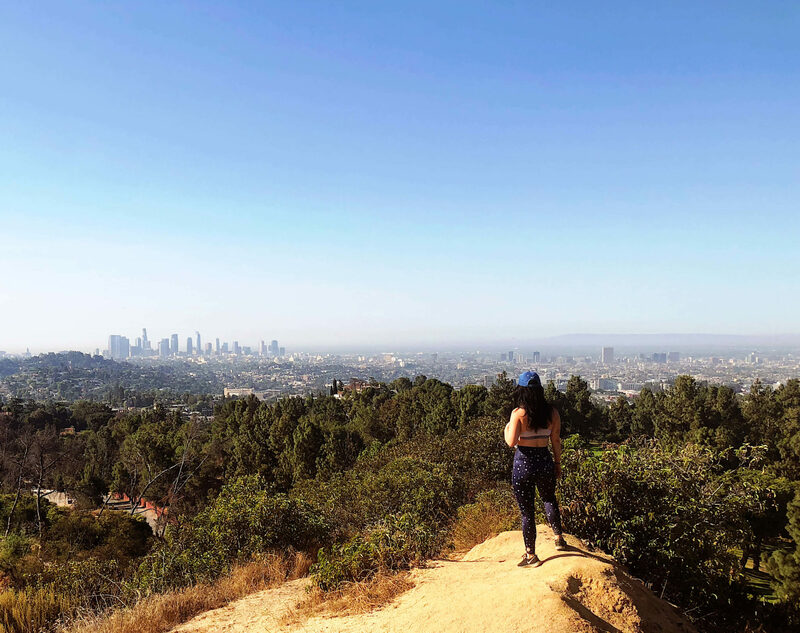 I wasn’t quite sure what the business would be, at the time I imagined that I would create a yoga program for addiction that I would teach throughout LA and train others to teach the program under my guidance. It didn’t quite work out that way, but that intention is what sparked the name, One Down Dog. I was sitting at lunch with a friend of mine that was interested in by business concept and together we started brainstorming ideas for names. I was talking about what I wanted to convey – this idea that we don’t have to rush, it doesn’t have to be all at once, all or nothing – we can slow down and use our practice to find what we seek from within. We threw out a lot of ideas and then came back to what is said often in meetings and therapy – “take it one day at a time.” The lightbulb went off! One Down Dog… at a time. I had no idea One Down Dog was ODD. Thank you Universe (or whatever) . Fast forward a couple of years – I left the yoga studio and started teaching yoga and working as a substance counselor at a private school. A student of mine asked if I’d like to teach yoga at her tae kwon do studio on the Westside. I met with the owner and found out that he is also renting a small space next to the studio that was empty at the time. All of a sudden, this crazy wild idea of opening a yoga studio one day became a possibility. After doing the drive twice, I said “this is not what my dream looks like” and ended up passing the space on to a friend that went on to open a studio there – sharing is caring. It was in that process that my now sister in law, Chelsea, suggested that if something like that existed on the Westside, it also had to exist on the Eastside. We went on Craigslist and found our first space – a 1 room space that we shared with an ashtanga teacher that only led classes from 5-10am. It wasn’t perfect, it wasn’t what I had visualized, but it was exactly what I needed to overcome all of the fear/doubt. Chelsea expressed interest in partnering and I was certain I couldn’t do it on my own, so we went into business together and got started on making One Down Dog. We didn’t have much money, or business experience, but for some reason people kept showing up. 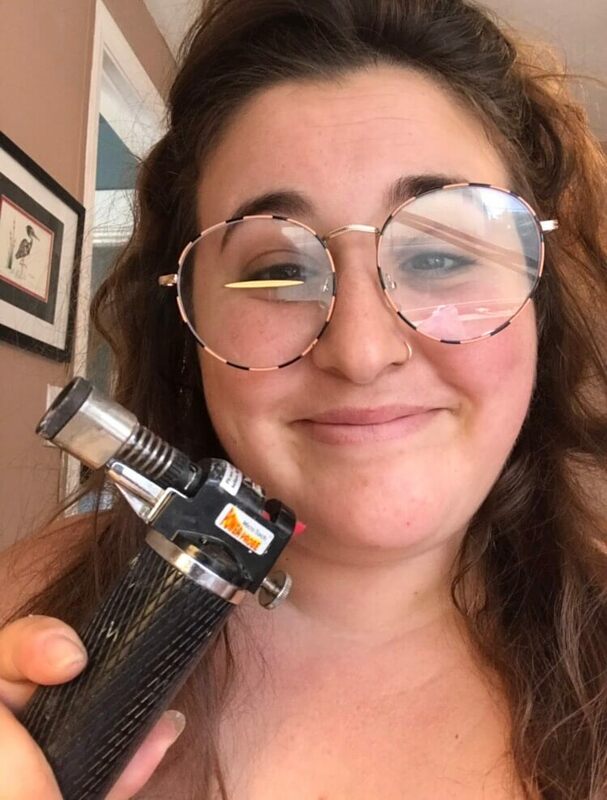 After a few months Chelsea realized business wasn’t for her. I cried a lot. I thought for sure it was all over. I told myself “see you are a complete failure, nothing you do will ever work out.” …and a whole lot of other horrible things. But something inside of me kept me going. If you’d like to soak up some of Jessica’s awesomeness while simultaneously tapping into your own, be sure to sign up for her annual Make Awesome Happen workshop that’s kicking off on January 23rd. The four-week series is all about goal-setting and goal-crushing. You’ll spend the time learning tools to help you tap into your innermost fabulousness while basking in the amazing energy of the equally ambitious people around you. Sign up in any of the studios or online! Hello and Happy (almost) Winter Solstice everyone! Today the ODD blog is bringing you our third and final installment of YTT alumni features. If you, for some CRAZY reason, missed the first two installments, definitely go check those out! What’s your ODD love story? Before I joined One Down Dog, I practiced yoga at my local gym or at the Bikram studio down the street from my house. 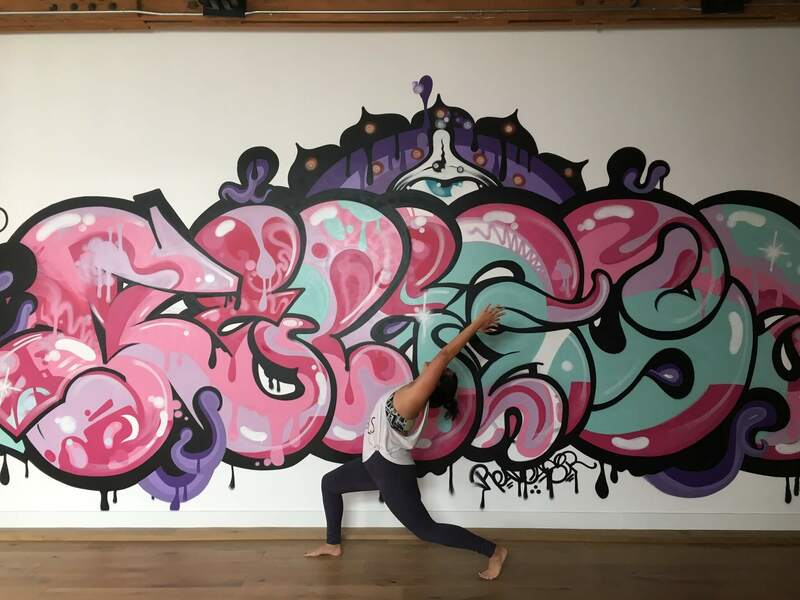 Taking classes at ODD— mostly Flow, Sweat and Sculpt at the time— broadened my scope of what yoga could be. I then ventured into teacher training—not only was it life altering but it was also soul enriching. The beautiful people I met and get to call my friends is the cherry on top! I have found yoga to be the connection to my inner self. I have a tendency to make things complicated for myself, I’m a worrier and an overthinker. Yoga— in its my facets— allows me to ground down and stop floating in the clouds even for a moment. I’ve also found that I have gained a stronger connection, greater acceptance and respect for my body. Yoga allows me to come back home to myself. What is one small fact that most wouldn’t know about you? I was raised in 3 countries and learned Spanish early on. I was born to a Malaysian-Chinese mother and Salvadoran father. But also Pie over Cake any day. Even though I’m afraid of heights, I’d probably love to fly. I’ve missed out on a lot of adventurous things because of my fear of falling. So, if I could fly, that’d be great. What’s the biggest thing you’ve gained from doing teacher training at ODD? Learning to listen to my heart and trust what I truly wanted for myself. I took a leap last year to make a career shift and I couldn’t have done it without teacher training. It also served as a jumping off point to deepen my understanding of Ayurveda, meditation and tarot. I’m also super grateful for the encouraging, supportive and loving friendships I have today because of teacher training. Couldn’t just narrow it down to one—sorry! Lol. What is your favorite asana pose and/or sequence and why? There’s too many to choose from. But wild thing is probably one of my favorites. I used to be so afraid of flipping over, but over the years, it’s become so freeing and fun. Hometown: West Covina, Ca – about 25 miles east of LA. 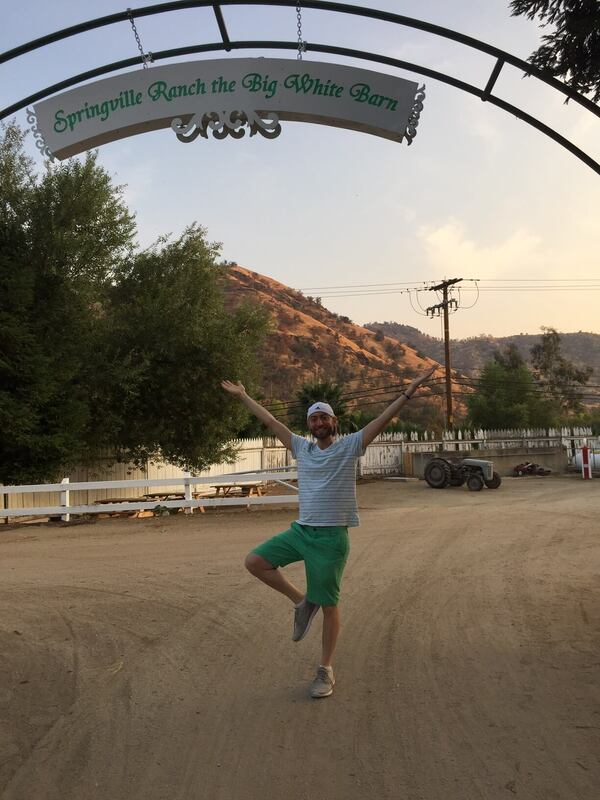 I’m a SoCal native! I avoided yoga for the first ~30 years of my life because I had created stories in my head that it wasn’t for me. Up until then I was used to doing very intense workouts such as kickboxing and CrossFit because I wasn’t comfortable in my own skin and felt the need to mold it into what I saw in society’s beauty standards. My boyfriend at the time (now husband :)) dragged me to my first few yoga classes and eventually I started to see a shift in my body and mind. 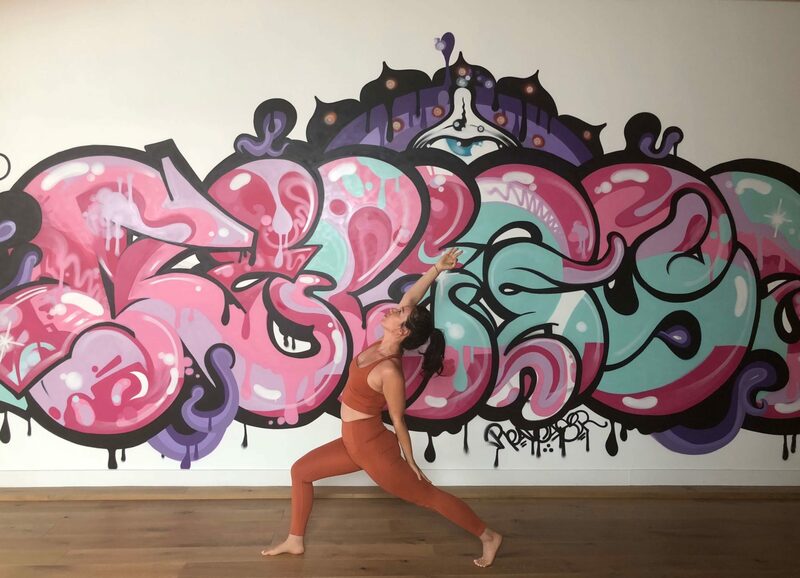 Eventually through ClassPass I found One Down Dog and fell in love with the energy of the studio, and it has since propelled me so deeply into the practice of yoga. Bonus points that the silhouette of Patrick, ODD’s mascot, looks like my dog Milo! I was working in a very stressful corporate environment at the time and found myself at ODD any chance I could get for sanctuary. Molly’s class was my church and making yoga a regular practice was the start of a journey that has transformed my life. I can’t believe I’m now a yoga teacher, sharing these valuable tools high schoolers and students of all ages. Yoga is connection – between the body, mind, spirit and emotion. Cultivating my awareness better connects these to one another. Yoga is our connection to one another. My parents put me in school early so everyone in my graduating classes were older than me- I graduated high school at 16 and college at 20. I survived college without a fake ID! I came to ODD after years of knowing I wanted to do yoga but being too afraid to start. Fear of strange new people, fear of trying something new, fear of judgement, the list continues. As soon as I decided to do what I knew is right for me things began to shift. I am beyond grateful for the journey that going to ODD started me on. Some of the things I found at/through/because of ODD include self-acceptance, self-love, self-confidence. All those “cliche” things we say and hear. It all starts there. You can do anything you want in life if you believe in yourself. You can manifest your dreams. It’s all true! And having a network of amazing people around you and supporting you with their actions, words and all around good energy makes things so much better and easier. At ODD I found a community of people (teachers, students and staff) who are positive, caring, kind, open, accepting, encouraging, funny and all the good things. If I had to list all the friendly people I’ve met, I wouldn’t know where to end. The positive experiences helped me go from being afraid to really talk to any “stranger” to opening up to all the wonderful people there and in doing so I opened up more to life, to really living and fully experiencing this wonderful, beautiful thing we humans can do here while we’re on this earth. And, I met the chillest most down to earth owner of any business I’ve ever met who authentically cares about and understands the importance (as well as challenges) of building connections, relationships and community. Yoga is a practice of introspection and reflection. It is about movement, breathe and finding your deepest, truest self. It is about trying to find balance in all things. It’s about stretching and strengthening. It is about getting tough while remaining soft. Yoga is so many things, but to me more than anything it is a way of life. I already believe we all have super powers. The power to make change, the power to make things better, the power to positively impact other peoples’ lives. The question is are we in touch with those powers and are we using them to serve the greater good. Strangers that became friends who are now like family. I never expected the training to force me so much to look at myself. To go to the deepest and darkest places that scare me the most and to come out stronger on the other side with a crew of people who embraced and supported me (and each other) every step of the way. The experience was really indescribable and I’m not even talking about all the feels. Something weird and magical happens when you put 20 people in a room together for 200+ hours with some really experienced guides and have them explore existence and the purpose and meaning of life. It also helped me reconnect with so much ancient wisdom that I feel many of us have lost touch with. Mechanisms of the body and mind, natural methods of self-care and healing. Reconnecting with spirit. The list goes on and on. I learned and continue to learn soo much from the teachers at ODD and their wealth of knowledge it’s crazy. Warrior 2 – it just screams yoga. When you think yoga, you see warrior 2 (in your mind, on the cover of yoga magazines). I also like that it’s a strengthening pose and empowers you to deal with any challenge life may throw your way.